Scientists at the University of Southampton have developed a digital data storage that is capable of surviving well until the sun burns out. These scientists are from the university’s Optoelectronics Research Centre (ORC), and they have achieved five dimensional (5D) digital data processing using a method called femtosecond laser writing. 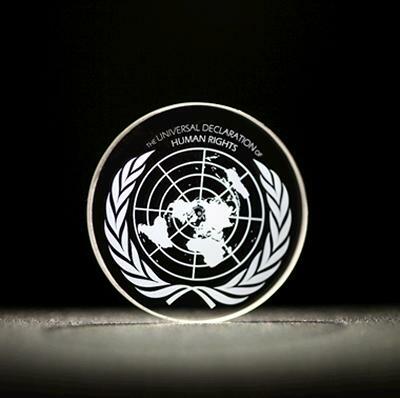 The 5D optical storage disc is able to store up to 360TB of data, has thermal stability of up to 1000-degree Celsius, and also virtually unlimited lifetime at room temperature. To put things into perspective, the disc is capable of surviving 13.8 billion years at 190-degree Celsius. Back in 2013, the technology was first experimentally demonstrated by recording a 300kb digital copy of a text file in 5D data. 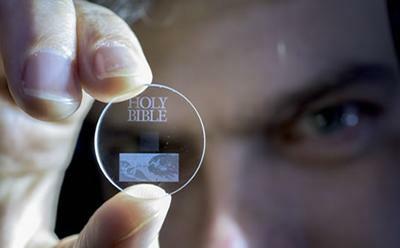 Currently, several major documents like the Universal Declaration of Human Rights (UDHR), Newton’s Opticks, Magna Carta, as well as the King James Bible have all been digitally kept within its own 5D optical disc for billions of years of safekeeping. How does it work? Ultrafast lasers produces extremely short and intense pulses of light onto an optical disc. The file is written in three layers of nanostructured dots which are separated by five micrometres. These nanostructures change how light travels through glass, modifying the polarisation of light which can then be read by using a combination of an optical microscope and a polariser – similar to those found in polarised sunglasses. It is thrilling to think that we have created the technology to preserve documents and information and store it in space for future generations. This technology can secure the last evidence of our civilisation: all we’ve learnt will not be forgotten. The scientists will present their research at the International Society for Optical Engineering conference (SPIE) in San Francisco, USA this week. On the 17th of February is when the paper “5D Data Storage by Ultrafast Laser Writing In Glass” will be presented. It would take a while before this technology gets introduced to the commercial market, but the team is currently looking for industry partners to develop and commercialise the technology.